The Oxford classification of IgA nephropathy (IgAN) has been developed as an international consensus- and evidence-based pathological classification system to accurately predict the risk of disease progression in individual patients. The classification system needs to be validated in independent studies throughout the world using the entire spectrum of IgAN cases. With further refinements and fine tuning, this system may help in determining individualized treatment and risk prediction for patients with IgAN. Immunoglobulins (Ig) and complement, which are components of humoral immunity, are supposed to play a role in renal transplant rejection. The present study was undertaken to study the level of complement C3, C4 and IgG, A and M in patients with chronic renal failure (CRF) and in those with renal transplant rejection (Tx Rej) as well as stable transplant recipients (Tx Stb) and normal healthy controls (NHC) in order to assess their role in transplant rejection and to correlate them with histopathological findings. The mean level of C3 and C4 in the CRF, Tx Rej and Tx Stb groups was not significantly different from the NHC group (P > 0.05). The mean level of C3 in the Tx Rej group was not different from that in the Tx Stb group. However, the C4 level was significantly reduced in the Tx Rej group when compared with the Tx Stb group (P < 0.05). There was no histopathological correlation between C3 levels and acute cellular rejection (ACR) or chronic allograft nephropathy (CAN); however, C4 levels were reduced in about 50% of the cases with CAN. The mean serum IgG level was significantly reduced in patients with CRF and transplant recipients as compared with NHC. The serum IgA level was also significantly reduced in Tx Rej cases. Correlation of serum IgA with histopathology in cases with rejection showed that in ACR, a lower mean level of IgA was seen as compared with that seen in cases with CAN. The serum IgM level was significantly higher in the Tx Rej group as compared with the Tx Stb group. There was no significant correlation between serum IgM levels and renal histopathology in patients with ACR and CAN. 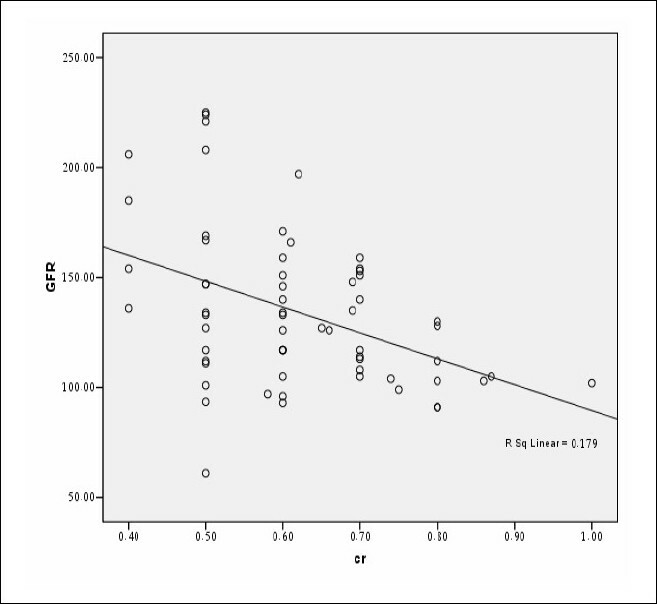 The C3 level showed a significant positive correlation with IgG (r = +0.50, P < 0.05) in the Tx Stb group. This study shows that cell-mediated immunity is the main cause of rejection in both ACR and CAN while humoral immunity is also involved along with cellular immunity in some cases with CAN. Renal transplantation (RTx) has become the treatment of choice for end-stage renal disease (ESRD) in autosomal dominant polycystic kidney disease (ADPKD), the most common genetic kidney disease. Because of the inheritable nature of this disease, live related donors might be avoided due to the fear of future appearance of polycystic disease. This retrospective singlecenter study was undertaken to evaluate patient/graft survival function vis-a-vis serum creatinine (SCr), rejection episodes and mortality in ADPKD vs matched control patients. Between 2000 and 2009, 18 (7.4%) deceased donor renal transplant (DDRTx) were performed for ESRD due to ADPKD. Diagnosis of ADPKD was established by family history and ultrasound. An individualized approach was applied for the need of pre-transplant nephrectomy. All recipients received rabbit-anti-thymocyte globulin induction and maintenance triple immunosuppression. Delayed graft function was observed in 33% patients, and 16% had biopsy-proven acute rejection. Over mean follow-up of 4.67 ± 2.2 years, patient and graft survival rates were 72.22% and 83.33%, with mean SCr (mg/dL) of 1.44 ± 0.54, 1.78 ± 0.42 and 2.2 ± 0.6 at 1, 5 and 10 years. Overall, 44.4% (n-8) underwent pre-transplant nephrectomy. Infection and cardio/cerebrovascular events were the main causes of death. 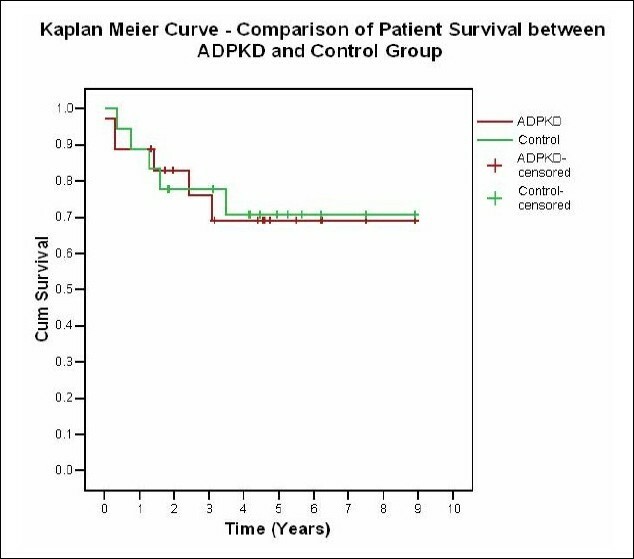 Patient, graft survival and acute rejection were similar between ADPKD and control group. DDRTx in ADPKD has acceptable patient and graft survival. Because of the inheritable nature of the disease, and unavailability of genetic linkage analysis as a routine, DDRTx is a viable option to avoid using unrelated donors. Patients on regular hemodialysis (HD) suffer from a chronic illness that is believed not to involve the thyroid gland. However, they may have low levels of serum thyroxine (T4) and tri-iodothyronine (T3). It was found earlier that serum total T3 and free T4 concentrations were significantly higher immediately after a HD session than before. In this single-center prospective study, we evaluated the difference between free T3 (FT3), free T4 (FT4) and thyroid-stimulating hormone (TSH) levels before and immediately after HD sessions in 40 Saudi patients with end-stage renal disease undergoing regular HD at the Prince Salman Center for Kidney Disease, Riyadh, Saudi Arabia. The study involved 23 female and 17 male patients with a mean age of 49.65 ± 16.20 years. None of the study patients had any known thyroid disease. We measured the thyroid hormones monthly for three successive months using the electrochemiluminescence technique both before and after HD sessions. At the end of our study, we found a statistically significant difference between pre-HD and post-HD levels for FT3; in the first month, it was 4.47 ± 1.01 versus 4.86 ± 1.03 pmol/L, (P = 0.004); in the second month, it was 4.48 ± 1.37 versus 4.83 ± 1.64 pmol/L, (P = 0.008); and in the third month, it was 3.84 ± 0.88 versus 4.04 ± 0.84 pmol/L, (P = 0.003). The FT4 in the first month was 15.42 ± 2.75 pmol/L versus 17.20 ± 2.85 pmol/L, P = 0.000, in the second month it was 14.86 ± 2.66 versus 16.74 ± 3.27 pmol/L, P = 0.000 and in the third month it was 14.86 ± 3.93 versus 16.70 ± 4.00 pmol/L, P = 0.000, respectively. However, the pre- and post-HD levels of TSH did not show any statistically significant difference; in the first month it was 3.17 ± 1.47 versus 3.32 ± 1.39 pmol/L, P = 0.254, in the second month it was 2.57 ± 1.36 versus 2.49 ± 1.29 pmol/L, P = 0.299 and in the third month it was 2.36 ± 1.17 versus 2.44 ± 1.22 pmol/L, P = 0.238, respectively. Thus, there was a statistically significant increase in the post-HD levels of FT3 and FT4 although the TSH levels did not show any significant change. Our study suggests that measurement of TSH alone might be more reliable in the assessment of thyroid function in patients on regular HD than FT3 and FT4. Studies have shown that sleep disorders are common among dialysis patients; however, few studies have compared the prevalence of different sleep disorders in patients on peritoneal dialysis (PD) and hemodialysis (HD). We used questionnaires to assess the prevalence of common sleep disorders in dialysis patients. We compared the prevalence of sleep apnea (SA) risk, restless legs syndrome (RLS), insomnia, and excessive daytime sleepiness (EDS), as well as sleep quality, in both groups. Of the 227 patients who were enrolled in the study, the total number of patients on HD was 188 (82%), while the total number of patients on PD was 39 (18%). There were no significant differences between the two groups regarding age, neck size, or duration on dialysis (all P >0.05). The estimated overall prevalence of SA was significantly higher in PD patients in comparison with HD patients (92% and 67%, respectively; P <0.05). The prevalence of insomnia was similar in both groups. The prevalence of RLS was significantly greater in PD than in HD patients (69% and 46%, respectively; P <0.05). In addition, EDS was significantly higher in PD than in HD patients (77% and 37%, respectively; P <0.05). Our study shows that sleep disorders are common in dialysis patients; however, SA, EDS, and RLS were more common in PD patients than in HD pa-tients. Poor sleep quality and insomnia were comparable in both groups. Peritonitis and catheter exit- site infections (ESI) are important causes of hospitalization and catheter loss in patients undergoing chronic peritoneal dialysis (CPD). The frequency of infection can be reduced by scrupulous exit- site care with or without topical antiseptics. There are no studies showing any benefit in the use of povidone-iodine or normal saline for care of exit- sites in long- term CPD patients. In this study, we aimed to determine the potential effectiveness of the application of povidone-iodine or normal saline at the catheter exit- site in preventing ESI and peritonitis in children on CPD. A total of 98 patients treated with either povidone-iodine or normal saline were included in this study. Group I (34 patients) used povidone-iodine and group II (64 patients) simply cleansed the exit- site with normal saline (0.9% NaCl). Dressings were changed 2 to 3 times in a week. The total cumulative follow- up time was 3233 patient- months. ESIs occurred in 10 (29.4%) of 34 patients using povidone-iodine and in 10 (15.6%) of 64 patients using normal saline. The frequency of ESI was significantly high in group I (povidone-iodine) patients. The mean rate of ESI was 1 episode/60.8 patient- months for group I versus 1 episode/144 patient- months for group II (P < 0.05). The rate of peritonitis was similar in each group (1 episode/21.3 patient- months for group I versus 1 episode/20.17 patient- months for group II) (P > 0.05). In conclusion, exit- site care with normal saline is an effective strategy in reducing the incidence of ESI in children on CPD. It can thus significantly reduce morbidity, catheter loss, and the need to transfer patients on peritoneal dialysis to hemodialysis. To evaluate the outcome of low doses of cyclophosphamide (Cyclo) therapy in lupus nephritis (LN) patients, we studied 117 biopsy-proven, de novo LN WHO class IV patients double-blinded and randomized in December 1997 to receive Cyclo in different doses; Group I (n=73) received Cyclo 10 mg/kg monthly for six months then every two months for 12 months. Group II (n=44) received Cyclo 5 mg/kg monthly for six months then every two months for 36 months. The patients were followed-up till January 2007. Six months post-induction values for creatinine clearance were significantly higher in Group I (67.7 ± 28.6 mL/min) compared with Group II (55.1 ± 30.1 mL/min), P = 0.026. Serum C4 and ANA were not significantly different between the groups (P > 0.05). At the mean follow-up of 6.77 ± 3.3 years, the mean creatinine clearance was 44.74 ± 31.7 mL/min in Group I vs. 49.3 ± 38.8 in Group II. Urinary protein was 1.65 ± 1.8 g/dL in Group I vs. 1.02 ± 1.01 in Group II (P = 0.03). The survival curve showed that kidney survival overtime was comparable in both groups (P = 0.2). Complete remission was observed in 25 (34.2%) patients in Group I vs. 11 (25%) in Group II (P = 0.288), while partial remission was similar in both groups; 43 (58.9%) patients in Group I vs. 26 (59%) patients in Group II. End-stage renal disease was observed in 10 (13.7%) patients in Group I vs. 9 (20.4%) patients in Group II (P = 0.359). Side-effects were more frequent in Group I patients than in Group II patients; gonadal toxicity and malignancy were lower in Group II patients (P = 0.0000). Moreover, different infections occurred in 23 (31.3%) patients vs. six (13.6%), digital infarcts occurred in 1.35% vs. 0%, diabetes in 4.1% vs. 2.27%, and vasculitis in 4.1% vs. 2.27% in Group I vs. Group II, respectively. Sustained amenorrhea without pregnancy was observed in both groups; however, significantly more in Group I patients, P ≤ 0.05. We conclude that low-dose Cyclo therapy is sufficiently effective for WHO class IV LN patients with lower side-effects compared with standard dose. Although there has been significant progress in the management of hypertension, rates for control of this chronic disease in the Kingdom of Saudi Arabia (KSA) has been shown to be very low. This study was aimed to assess the knowledge of primary health care (PHC) physicians and the extent of their adherence to the recommendations of clinical practice guidelines concerning care of hypertensive patients. The assessment was made in the Aseer region of KSA using a modified version of the World Health Organization "Physician Inquiry Questionnaire." Only 5.6% of the participants measured blood pressure (BP) with the patient in sitting and other postures. Variable sphygmomanometer cuff sizes for different patients were used by 56.5% of the participants, while 74.8% correctly recorded the diastolic BP at Koratkoff sound, phase- 5. Among non- diabetics, the correct diagnosis of systolic and diastolic hypertension was reported by 76.7% and 81.4% respectively, of the PHC physicians. Among diabetics, the correct diagnosis of systolic and diastolic hypertension was reported by 36% and 17.1% of the PHC physicians, respectively. Most physicians inquired about cardiovascular risk factors. Several important items of patients' clinical examination were not completely covered by physicians, e.g., fundus examination (75.2%). PHC physicians missed a few investigations and laboratory tests, e.g., ECG (87.9%), serum creatinine (88.2%) and lipid profile (89.8%). Less than one- fifth of the physicians correctly chose the thiazide diuretics as the preferred initial anti- hypertensive agent (19.9%). Almost two- thirds of the physicians (65.2%) emphasized the importance of BP self- measurement, 89.8% encouraged patients to use a reminder system while 96.3% motivated patients for BP control. Measures for lifestyle modification included weight reduction (98.8%), sodium restriction (97.5%), physical exercise (96.3%) and behavioral improvement (87.6%). Our study suggests that continuing medical education and training courses on guidelines for hypertension management should be arranged for PHC physicians in Aseer. The burden of chronic kidney disease (CKD) and other non- communicable diseases continues to rise globally, and recent studies suggest that metabolic syndrome (MS) may add to this burden by contributing to the development of CKD. Given that reports on the prevalence of CKD in patients with MS in this environment are scanty, this study was undertaken with the sole aim of determining the prevalence of CKD in subjects with MS as defined by the International Diabetes Federation (IDF) and the National Cholesterol Education Project Adult Treatment Panel III (NCEP ATP III). A total of 240 consenting adults (18-70 years) attending the general out- patient clinic of the General Hospital Okrika for various ailments were studied. Subjects were screened for MS as per the above- mentioned criteria. Estimated GFR (eGFR) was determined with Modification of Diet for Renal Disease (MDRD) formula and CKD was defined as eGFR less than 60 mL/min/1.73 m2 . Data was analyzed using SPSS version 12.0 and Epi info version 4.06d; P <0.05 was considered as significant. A total of 88 males and 152 females were screened for MS by both criteria. Eighty- four (35.0%) of 240 subjects had MS as defined by NCEP ATP III, while 85 (35.4%) had MS as defined by the IDF. The subjects were predominantly females, and mean age was between 54.74 ± 15.30 and 55.60 ± 14.81 years. Four of the 84 (4.8%) subjects with MS by NCEP ATP III definition had CKD while three of the 85 (3.5%) subjects with MS by IDF definition had CKD. Among subjects without MS by either definition, the prevalence of CKD was four of 140 (2.9%). Although the prevalence of CKD was higher among subjects with MS by ATP III compared with those with MS as defined by IDF and subjects without MS, the differences were not statistically significant (X2 = 0.14; P = 0.710). A comparison of MS subjects without CKD and those with CKD did not show any significant difference in age, waist circumference, body mass index, blood pressure, fasting blood glucose and lipid profile (P > 0.05). CKD was more common in subjects with MS compared with those without, although the difference was not statistically significant. The prevalence of CKD in subjects with MS in our study population did not differ significantly when the different MS definitions were employed. A novel cytokine system secreted by osteoblast, osteoprotegerin (OPG) and its ligand (OPGL) regulates osteoclastogenesis. To determine the relation of the serum OPG levels in children with nephrotic syndrome (NS) to the renal disease, we studied 30 patients with NS in comparison with 30 healthy children serving as controls. The study patients were divided into three equal groups: group 1 included newly diagnosed patients who were studied before and after a short course (one month) of steroid therapy for the first time, group 2 included frequent relapsers (FR), and group 3 included infrequent relapsers (IFR). In addition to serum OPG (ELISA), osteocalcin (OC), parathormone (PTH), alkaline phosphatase (ALP), and 24- hour urinary Ca and proteins were measured. The NS patients revealed a significantly lower serum OPG and parameters of bone formation (ALP and OC) and a significantly higher 24- hour urinary Ca than controls. A short course of glucocorticoids therapy for one month resulted in a significant decrease of serum OPG, ALP and OC levels and a significant increase of 24- hour urinary Ca, while serum PTH levels were not significantly affected by this the- rapy; the FR revealed a significantly lower serum level and a significantly higher 24- hour urinary Ca and serum PTH than the IFR. OPG had significant negative correlations with markers of disease activity and severity (ESR, serum cholesterol, 24- hour urinary protein and cumulative steroid dose), PTH and 24- hour urinary Ca. On the other hand, OPG had significant positive correlations with ALP, OC, and serum albumin. Low serum OPG, which is attributed to the renal disease and/or steroid therapy, may be an important factor contributing to bone resorption in NS. Studies of the protective effect of OPG administration against bone loss in NS are warranted. Thalassemia is a common hereditary hemoglobinopathy disorder that affects many organs in the body. Estimation of kidney function is important, as it is the vital organ that plays the major role in the elimination of accumulated iron as well as the chelating drugs that have to be used as therapy. Sixty- three patients aged 1-29 years, with a mean ± SD of 14 ± 6.7 years, affected with beta- thalassemia major in Tabriz Children's Hospital were evaluated for their renal function on the basis of their age, serum iron, serum ferritin and serum creatinine levels along with two methods of estimating glomerular filtration rate (GFR); by Schwartz method for those under 18 years old and using Modification of Diet in Renal Disease (MDRD) formula for those who were 18 years and above. Elevation of serum creatinine denoting renal dysfunction was not seen in our patients, but hyperfiltration was a common finding. An increasing GFR was observed, which corresponded to age, but no relationships were seen between serum iron, serum ferritin, regular blood transfusion, chelating therapy to GFR. Immunoglobulin M nephropathy (IgMN) is an idiopathic glomerulonephritis characterized by a variable degree of mesangial hyper- cellularity and diffuse IgM deposits. This study describes the clinical presentation and the morphological findings in 36 patients, five adults and 31 children, with IgMN. The initial manifestations of the disease were the nephrotic syndrome in 32 patients, proteinuria in two, hematuria associated with proteinuria in 16 and isolated recurrent gross hematuria in two patients. The nephrotic syndrome was steroid responsive in 9% of the cases, steroid dependent in 25% and steroid resistant in 66%. Five patients were hypertensive at the onset of the disease. The mean follow- up period was 3.4 years (range, 1-7 years). One patient developed end- stage kidney disease five years after the diagnosis. On light microscopy, 24 specimens showed mild focal and segmental mesangial hyper- cellularity, 10 cases were normal in cellularity and two cases showed diffuse global mesangial hyper- cellularity. 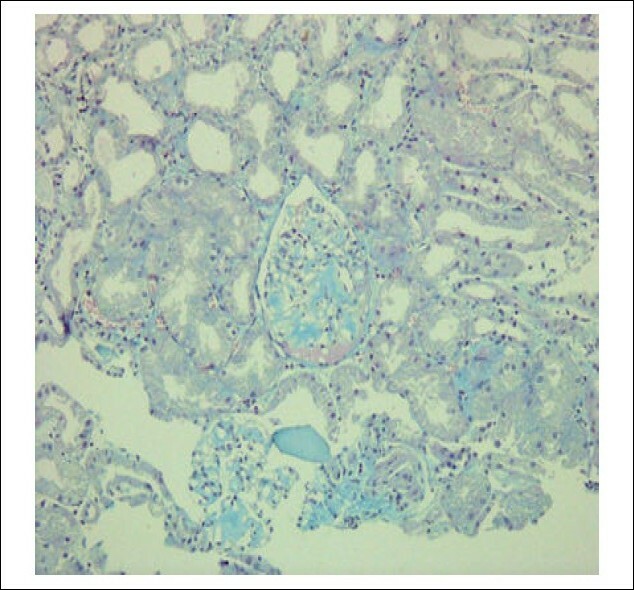 Four cases showed focal and segmental glomerulosclerosis. Mild interstitial inflammation and fibrosis were observed in 11 cases and focal tubular atrophy and hypertensive hyaline arteriosclerosis were noted in three cases. In addition to IgM, the immunofluorescence study showed C3 deposits in 12 cases, IgG in nine cases and IgA in one case. Electron dense- deposits in the mesangium and para- mesangial areas were demonstrated on electron microscopy in 22 cases. In view of its different clinical presentations and the constant findings of diffuse mesangial IgM deposition in all the cases, it is concluded that this form of nephropathy constitutes a distinct entity separate from minimal change disease or focal and segmental glomerulosclerosis. Patients with IgMN had a higher prevalence of steroid resistance and dependence in the proteinuric group. 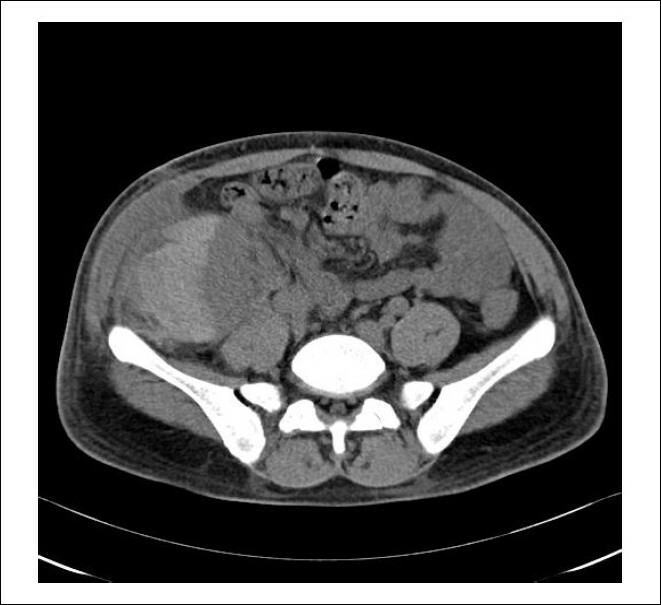 Hypercalciuria may present with dysuria, urinary incontinence and nocturnal enuresis (NE). To determine the frequency of hypercalciuria in NE patients and normally continent children, we studied 122 consecutive pre- school children with NE referred to our nephrology clinic during two years, from September 2007 to August 2009. We measured the 24- hour urinary calcium. Furthermore, we compared the response to nasal desmopressin in hypercalciuric and normocalciuric patients. Hypercalciuria was found in 26 (21.3 %) of the NE patients as compared with five (4.5%) of 110 continent children [(P < 0.001), OR = 5.68 (95% CI, 2.1-15.4)]. In addition, the mean 24- hour urine calcium/body weight ratio (24h- U- Ca/Bw) was higher in NE patients, 3.04 ± 1.54 vs. 2.57 ± 0.9, respectively (P = 0.005). Wet nights per week in both NE patients with and without hypercalciuria at the first visit ranged from two to seven (median: 6 and 7, respectively), and the mean overall success rate of the nasal desmopressin therapy was 83.3% and 90%, respectively (P > 0.05). The response to desmopressin above 90% occurred within one month of therapy without a significant change in the levels of hypercalciuria. We conclude that these results suggest that hypercalciuria has a significant association with NE and does not interfere with the desmopressin therapy. We have developed since 1994 a new hemodialysis (HD) technique called acetate biofiltration 84% (AFB 84%) that is characterized by the absence of acetate in the dialysate and the complete correction of buffer balance by post- dilutional infusion of bicarbonate- based replacement solution. Our study aimed to compare the variability of perdialytic volemia [net ultrafiltration (UF) rate, total UF, Δweight (T4- T0)] during AFB 84% and bicarbonate dialysis (BD) for stable chronic hemodynamic patients. This was a prospective crossover study carried out on 14 patients for a total of 168 HD sessions (84 AFB 84% and 84 BD). Optical measurement of hemoglobin (Hb) concentration was incorporated into the dialysis monitor to allow the study of the relative blood volume. For both techniques, Hb measured by Hemoscan® correlated well with the laboratory measurements. Moreover, the comparison of the averages of the different indicators of the perdialytic volemia did not disclose any significant statistical differences. Nevertheless, the comparison of the variability of perdialytic volemia between both techniques showed less Δ volemia (T4- T0) during the AFB 84% than the BD (- 7.909% for BD and - 6.960% for ABF 84%, P = 0.0036). We conclude that the absence of acetate and maintaining an optimal osmolarity at the origin of a better plasma refilling rate are key factors that make AFB 84% a technique assuring a better perdialyitic hemodynamic tolerance in comparison with BD in chronic HD patients. Renal reserve (RR) is the ability of the kidneys to increase their basal glomerular filtration rate (GFR) by at least 20% after a protein overload. It has been documented that RR is preserved in healthy elderly people, and even in patients with chronic kidney disease, but its magnitude is significantly decreased with aging. Besides, RR has also been evaluated in kidney transplant patients who were on sirolimus or calcineurin inhibitors (CNI):cyclosporine or tacrolimus, and it was found that RR was lower in the CNI group compared to the sirolimus group, a phenomenon that could be attributed to the intra- renal vasoconstrictive effect of CNI. In conclusion, RR is a physiological variable which has its particular characteristics in different renal settings. 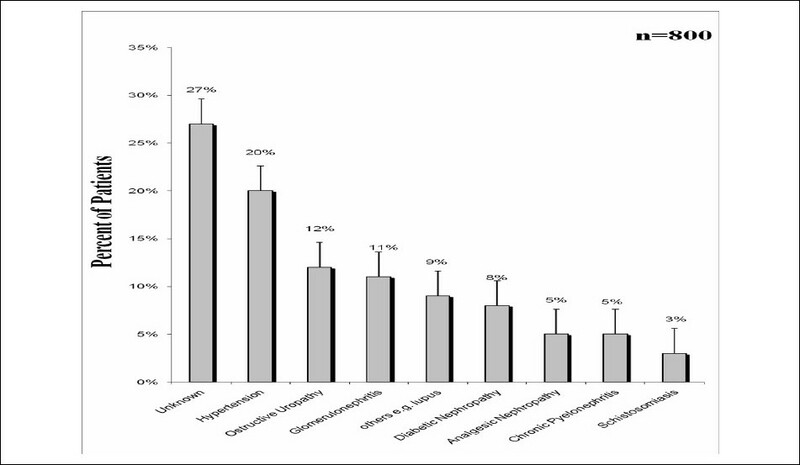 To evaluate the clinical course of pericarditis in patients with chronic kidney disease (CKD), we studied echocardiography in 64 CKD patients and subdivided them into four groups according to their CKD condition and presence of effusion: 14 (22%) patients with pericardial effusion that formed during conservative treatment of CKD patients, 12 (19%) patients who developed the effusion while on regular hemodialysis, 31 (48%) CKD patients without pericardial effusion, and seven (11%) CKD patients with minimal effusion. In addition, the patients were then re- subdivided according to the amount of pericardial effusion into those with small amount, up to 1 cm echo- free space (EFS) (17 (27%) patients); with medium size pericardial effusion (9 (14%) patients); with large amount of pericardial effusion, above 2 cm (four (6%) patients); and with thickened pericardium (4 (6%) patients), three (5%) of whom were without pericardial effusion and one (2%) was with minimal effusion. Nine (15%) patients revealed signs of mitral valve prolapse. The presence of EFS between the posterior epicardium and pericardium during the entire cardiac cycle was found in 31 (48%) patients. We conclude that the presence of a positive EFS without other clinical symptoms does not confirm with certainty the presence of pericarditis in CKD patients. ST segment elevation of more than 1 mm from the baseline is an electrocardiographic presentation of acute myocardial injury. This phenomenon is not confined only to ischemic injury, and various other etiological factors have been described in relation to ST segment elevation. We report the case of a young man who presented in the emergency department complaining of loin pain. He was subsequently found to have transient ST segment elevation, but a thorough evaluation showed no evidence of coronary artery disease. ST segment elevation is one of the best tools for diagnosing acute myocardial infarction, of which reperfusion therapy is the treatment of choice thus making it important to make the diagnosis as quickly as possible. It is equally important, however, not to misdiagnose acute myocardial infarction, as there are other causes of ST segment elevation. Therefore, we report this unique case of renal pain due to stone causing ST segment elevation. 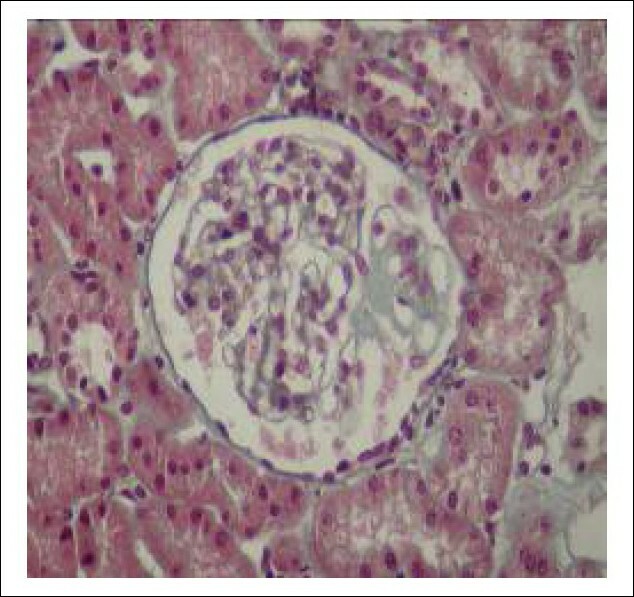 A 26- year- old Saudi male school teacher presented with clinical features of nephrotic syndrome. 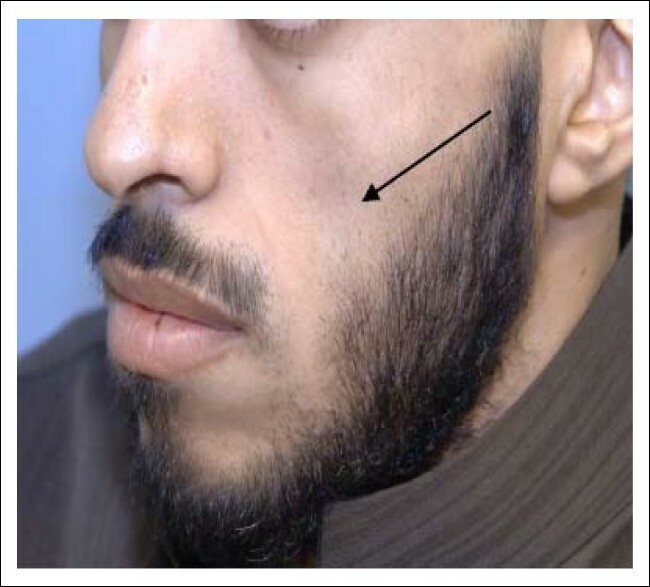 Physical examination revealed loss of subcutaneous fat over the face and upper arms (partial lipodystrophy) and drusen in both eyes. The serum level of complement C3 was low, with normal C4. 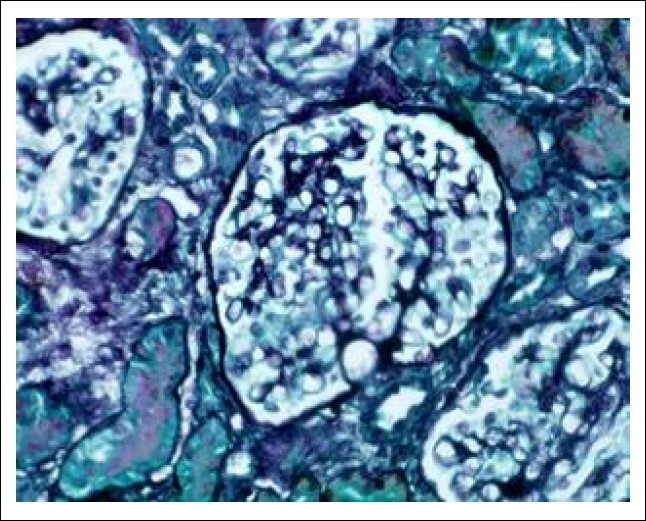 Renal biopsy revealed features consistent with membranoproliferative glomerulo- nephritis (MPGN) type II [Dense Deposit Disease (DDD)]. He was treated with prednisolone and mycophenolate mofetil with partial remission. He also received lipitor and lisinopril. The occurrence of partial lipo- dystrophy and drusen in a patient with nephrotic syndrome provides a rare clinical opportunity of making a bedside diagnosis of type II MPGN even before kidney biopsy. Ultrasound- guided percutaneous allograft renal biopsy is commonly done to evaluate graft dysfunction. Complications of renal biopsy are usually minor, and major complications occur only in less than 1% cases. We report a case of allograft renal biopsy which caused a subcapsular hematoma, Page kidney and deterioration of graft function. This was diagnosed by computed tomography (CT) scan, and early surgical intervention led to complete recovery. A 43- year- old woman on treatment for primary hypothyroidism presented with 1- day progressive weakness of all her limbs and history of similar episodes in the past. Clinical examination revealed grade 2 hyporeflexive weakness. Investigations revealed features of hypokalemia, metabolic acidosis, alkaline urine, and a fractional bicarbonate excretion of 3.5%, consistent with distal renal tubular acidosis. Antithyroid peroxidase and antithroglobulin antibodies were positive, suggesting an autoimmune basis for the pathogenesis of the functional tubular defect. Bicarbonate therapy resulted in a sustained clinical recovery. The cases of hemolytic uremic syndrome (HUS) preceeded by diarrhea are commonly labeled as D+ HUS. However, with severe renal failure or with delayed recovery, such cases should be evaluated for rarer associations like Factor H (FH), I and CD 46 deficiency or mutations. We report such a presentation of a young boy who initially came with diarrhea and had features of HUS with delayed renal recovery. He later turned out to have anti-FH antibody-related HUS. Amyloidosis represents a heterogeneous group of disorders of protein metabolism and is characterized by deposition of fibrillar proteins in the intra- and extracellular spaces. Here, a case of generalized amyloidosis associated with neutropenia is presented. She had a medical history of multiple bacterial infections. At the age of 14 years, she developed nephrotic syndrome. An increase of antigenic stimulation during the intermittent bouts of acute infections would have been the main factor responsible for the development of secondary amyloidosis in this case. To the best of our knowledge, coexistence between neutropenic disorders and renal amyloidosis in children has not been reported till date. The purpose of this report is to present a case of secondary amyloidosis associated with neutropenia in pediatric age group, probably for the first time. Transitional cell carcinoma of urinary bladder (TCCUB) usually presents with hematuria. 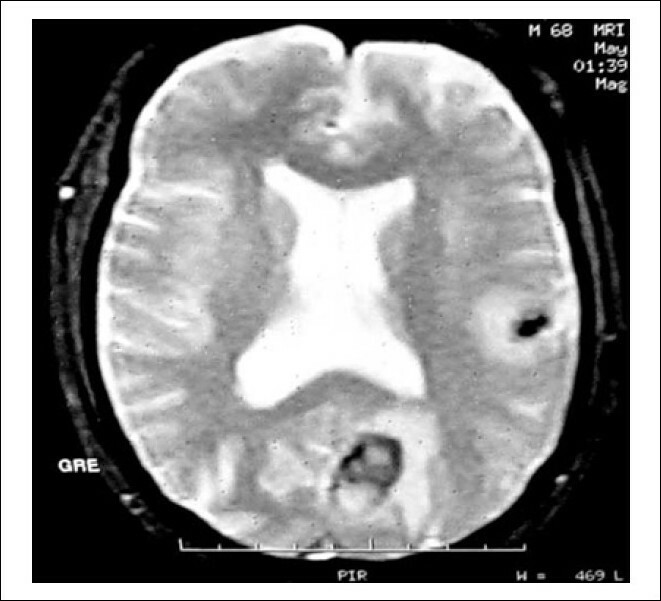 Cerebral and leptomeningeal metastases as a first manifestation of TCCUB have been occasionally reported in the medical literature. Hence, we report a case of an elderly man who presented with localizing neurological signs and whose magnetic resonance imaging brain showed multifocal cerebral and leptomeningeal lesions suspected to be metastatic deposits. Thorough search for the primary tumor revealed TCCUB. We had earlier conducted two cross-sectional studies on the epidemiology of endstage renal disease (ESRD) in the El-Minia Governorate. The aim of this study is to assess the prevalence, etiology and risk factors for ESRD in the El-Minia Governorate during the year 2006. Patients on renal replacement therapy (RRT), numbering 1356, were recruited into this study. A standardized questionnaire was completed including demographics, family history, risk factors for ESRD, environmental exposure to toxins, work conditions, social history and causes of death. Only 800 (59%) of the 1356 patients agreed to participate in this study. Their mean age was 46 ± 13 years, median 43 (range 18-80). The male vs. female ratio was 65% vs. 35%. 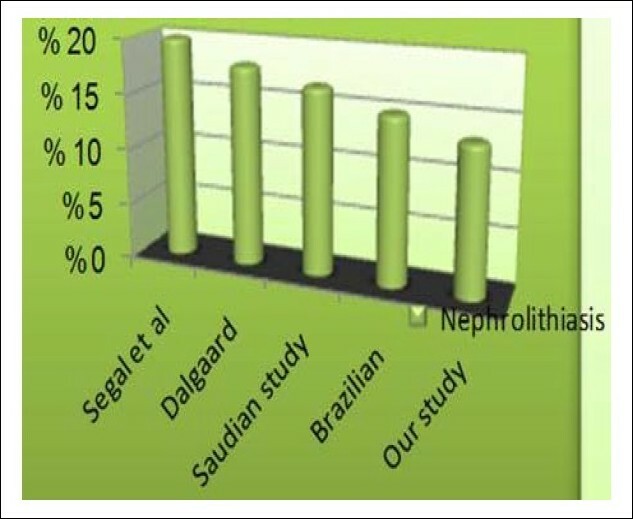 The etiology of ESRD was unknown in 27%, hypertension in 20%, chronic glomerulonephritis in 11%, obstructive uropathy in 12%, bilhaziasis in 3%, analgesic nephropathy in 5%, chronic pyelonephritis in 5%, diabetic nephropathy in 8% and others, e.g. lupus in 9%. The overall prevalence of ESRD was 308 per million population (pmp). The modalities of RRT used on the study patients included hemodialysis (HD) in 1315 (97%), peritoneal dialysis (PD) in 27 (2%) and renal transplantation in 14 patients (1%). The death rate was 190/1000. Our study suggests that the epidemiology of ESRD in the El-Minia Governorate is different from that in European countries and the US and thus, region-specific interventions must be developed to control the epidemic of ESRD in the world. Chronic kidney disease (CKD) is increasingly recognized as a public health problem, and is linked to the risk of development of cardiovascular disease (CVD) and end-stage renal disease (ESRD) with their attendant morbidity, mortality and increased healthcare costs. There is still paucity of data on the prevalence and risk factors for microalbuminuria (MA) and CKD in the Middle East. We report a cross-sectional study of the prevalence and risk factors for MA in the relatives of patients with CKD from a community-based screening programme in Egypt. The study was conducted among participants of the Egypt Information, Prevention, and Treatment of Chronic Kidney Diseases (EGIPT-CKD) Program, a population-based screening program for MA and CKD in Damanhour, Egypt. The screening tools included a questionnaire collating information on demographics, lifestyle, medical and family history of diabetes mellitus, hypertension and CKD. The prevalence of MA was 10.6% in the population screened. The prevalence was 6.2% in the non-diabetic and non-hypertensive subjects. The prevalence of albuminuria increases with age (P = 0.001 for trend). The prevalence was higher in the subjects with diabetes, hypertension, obesity or CVD. There was also a higher burden of MA subjects with low educational attainment (16% vs 5.6%; P = 0.001) and also those with a positive history of smoking (15.7% vs 8.1%; P = 0.01). The independent predictor variables associated with the presence of MA in a mutually adjusted logistic regression model were age (OR = 1.055, 95% CI: 1.01-1.10), mean arterial blood pressure (OR = 1.04, 95% CI: 1.102-1.07) and personal history of CVD (OR = 2.34, 95% CI: 2.31-18.1). In this study, we determined the prevalence and risk factors for those having MA among the first-degree relatives of ESRD patients of the EGIPT-CKD program in Damanhour, Lower Egypt. There is paucity of information on the magnitude of the burden of renal disease in our environment. Obtaining accurate data is hampered by the poor socioeconomic status of most patients with lack of access to specialized care in tertiary institutions, where most of the data is generated. The incidence of chronic renal failure (CRF) and end-stage renal disease (ESRD) in any specified area is known to be influenced by the prevalence of specific disease entities resulting in CRF. Hypertension, glomerulonephritis (GN), sickle cell disease, quartan malaria nephropathy, urinary tract schistosomiasis and other parasite-related forms of chronic GN are known to contribute significantly to the incidence of CRF in Nigeria. As is the situation in other parts of the world, diabetic nephropathy appears to be of increasing importance in the causation of ESRD in Nigeria. Even though the underlying cause of renal disease can often not be treated, extensive studies in experimental animals and preliminary studies in humans suggest that progression in chronic renal disease may largely be due to secondary factors, attention to which may be important in the prevention and/or control of renal disease. Acute renal failure (ARF) is one of the common emergencies in pediatric practice. In the Indian subcontinent, its etiology, clinical features and outcome vary from other parts of the world. We decided to perform a prospective study of ARF in 180 pediatric patients admitted to our institute between August 2006 and March 2008. Our study included children, neonates 7.8%, <1 year 16.7%, 1-5 years 30.5% and >5 years comprised 52.8%. The male:female ratio was 2.3:1. Acute tubular necrosis remains the major cause of ARF; other intrinsic renal disease accounted for almost 30% of the patients. In all patients of ARF who required dialysis, peritoneal dialysis was offered as the first-line management. Six patients were offered hemodialysis. Mortality below one year age was higher compared with those who were more than one year of age (40% vs 11.3%). The overall mortality in the present study was 17.7%. ARF in pediatric nephrology is not uncommon. In our setup, peritoneal dialysis (PD) is an effective and safe modality of renal replacement therapy in most of the cases. Delayed referral, malnutrition, infections, age less than one year and multiorgan involvement were bad prognostic features.